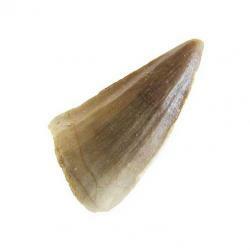 This Mosasaur Tooth is 1 3/4 inches long and 7/8 inches across at the base. The tooth is in good condition. It was found in Morocco.